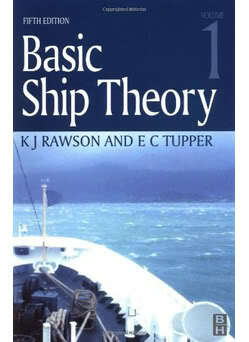 Rawson and Tupper's Basic Ship Theory, first published in 1968, is widely known as the standard introductory text for naval architecture students, as well as being a useful reference for the more experienced designer. The fifth edition continues to provide a balance between theory and practice. 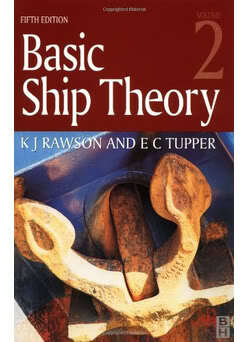 Basic Ship Theory is an essential tool for undergraduates and national vocational students of naval architecture, maritime studies, ocean and offshore engineering, and this combined hardback version will be of great assistance to practising marine engineers and naval architects. CONTENTS OF VOLUME 1: Foreword; Acknowledgements; Introduction; Symbols and Nomenclature; Art or Science? ; Some tools; Flotation and Trim; Stability; Hazards and Protection; The Ship Girder; Structural Design and Analysis; Launching and Docking; The Ship Environment and Human Factors; Answers to problems; Index. CONTENTS OF VOLUME 2: Acknowledgements; Introduction; Symbols and Nomenclature; Powering of Ships: general principles; Powering of Ships: application; Seakeeping; Manoevrability; Major Ship Design Features; Ship Design; Particular Ship Types; Fishing Vehicles; Yachts; Answers to problems; Index. Được sửa bởi Bố già ngày Wed Apr 10, 2013 5:39 pm; sửa lần 1. Anh có nhiều tài liệu chuyên ngành tốt quá. Tôi đang cần một số bài về ship structure, channel characteristics, draught, speed, pilotage, position để đưa vào giáo trình tiếng Anh CN cho SV ngành Điều khiển biển mà chưa tìm được nguồn đáng tin cậy. Hy vọng anh có thể chỉ giúp tìm ở đâu.